Hands down my #1 go-to upper layer for 3-season use! 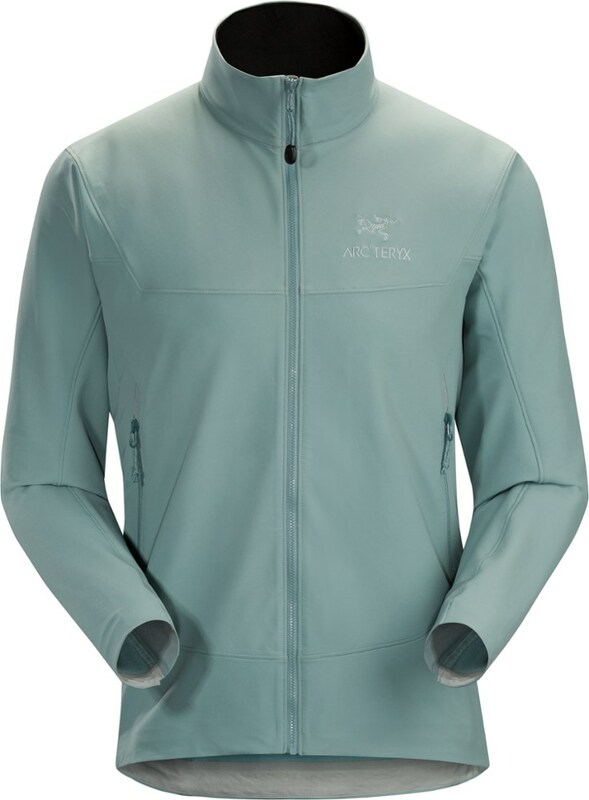 Hands down my #1 go-to upper layer for 3-season use! Feels like a second natural protective outer skin! So comfortable and flexible, it "becomes you." I have four of these in different colors and REALLY like them. 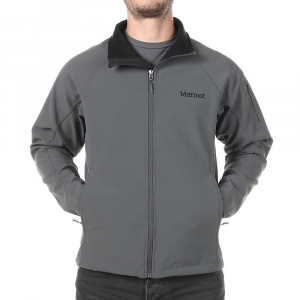 Use on trails, commute to trailhead, out-and-about day off jacket, workday commute jacket. My wife and several members of our hiking clubs are now getting these. 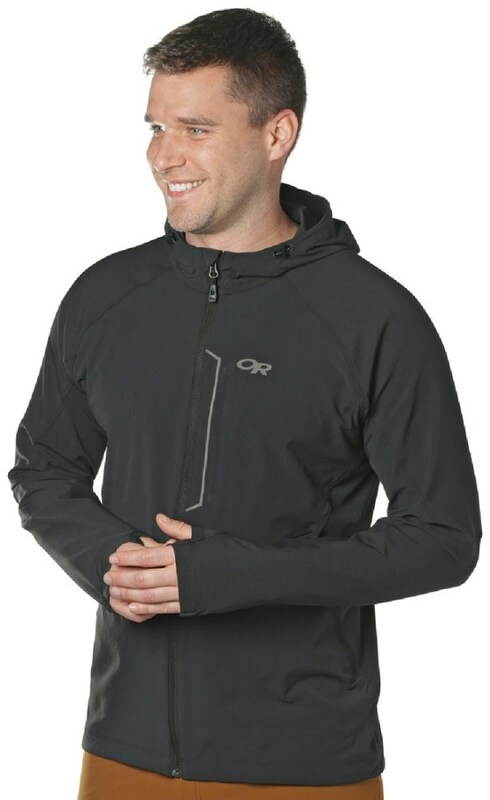 Amazing soft shell hoody for aerobic activities. I could live in these things and often do so! We have A LOT of moisture falling on us in different ways. And you need protection to stay healthy and happy. Ferrosi Hoodies are core 'go-to' gear for me. I typically bring a second one with me as casual wear for the hike commute. 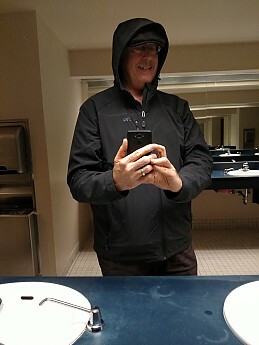 I have also used it to lend to another for a hike if they forgot a mist/light rain coat, or need another layer ( also helps me justify carrying backup gear). 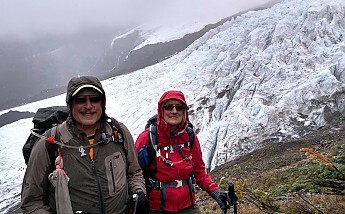 Mushroom / Walnut color on Heliotrope Ridge overlooking Coleman Glacier, on Mt Baker, WA. Mushroom / Walnut color on Squak Mt, in the 'Issaquah Alps' (a fun local WA name for Squak, Cougar, and Tiger mountain-ettes, at the foot of the Cascades, as one heads towards Snoqualmie pass. 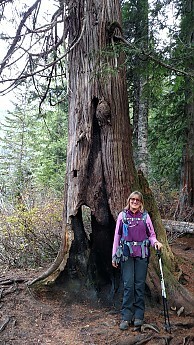 Sam (which stands for "Small And Mighty" in this case), who leads one of our hiking clubs, stands about 4' 7" tall (in thick socks). 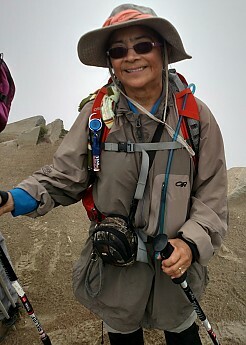 In the middle of July, we had some unexpected cold misty weather on Mt Rainier, on the way to Dege peak, above the Sunrise area. 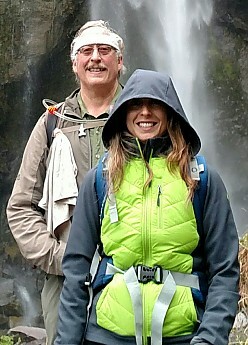 Having forgot her raincoat, Sam borrowed my Mushroom/Walnut-colored Ferrosi as a protective layer. The DWR finish kept the denching mists off of her. And I got a great photo where she looks, dare I say, kinda like an Ewok, from Star Wars fame! A 2XL thus makes a good overlay for just about anyone. We're seeing more and more people in our Meetup Groups getting them now. Evergreen / Hops color at dinner on the way back from Comet Falls. Snoqualmie Falls, a fun quick off road view spot on the way to the day's hike on in the Snoqualmie area. Was wearing a Ferrosi and REALLY NEEDED its water repellency, due to the drenching mist! This magnificent falls take a 269 feet (82 m) plunge! And there's a famous lodge at its head. Fun drive by...but we prefer the outback! My wife's initial color choice: Margo really liked the woman's blue color best. However, the orchid was on a great sale. Captured view at Talapus Lake en route to other Alpine Lakes, on Snoqualmie Pass, Wash., area. 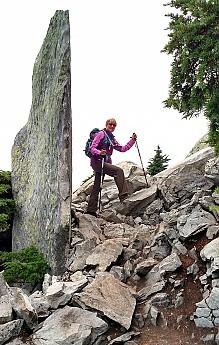 Hiking Mt Pilchuck in OR Ferrosi's ... we both wore one that day! Orchid color and other Ferrosi Hoodies are starting to propigate through our Meetup Groups now. 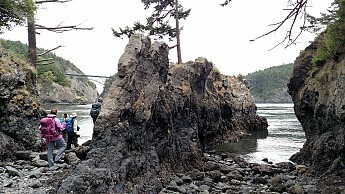 Julie's seen here in the 'wild' along the Bowman Bay / Deception Pass trail area in WA State. It's not so wild or isolated there, just a little rugged, and so very beautiful. Bowman Bay is also a great place to put in Sea Kayaks! 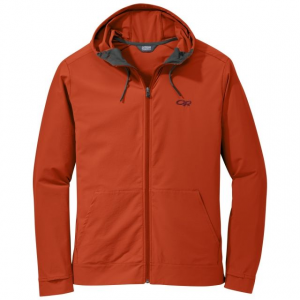 An unlayered Ferrosi Hoody is an ideal moderate to warm weather paddling shell. And it repells the water nicely, blocks wind, and breathes very well. I've had my Mariner II kayak in this area (watch out for sobering currents and hair raising to deadly whirlpools, in this narrow saltwater pass area. Ferrosi Hoodies make a wonderful outer paddling layer! 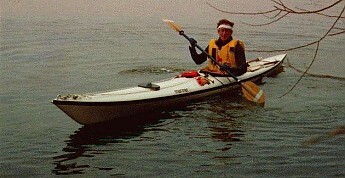 I've had this Mariner II kayak (my main boat for a very long time still) in the Bowman Bay / Deception Pass areas. You need water repellency, wind protection, and active wear breathability in a kayak! Long sleeves and hood can give important sun protection too. (This is an older photo taken when I had this boat in Madison, WI on Lake Monona (also Lake Mendota and Lake Superior Apostle Island area, OH YES ... drove it to Florida too and played in salt water, near Hilton Head, Pennsicola area). Be looking for kayak and kayak gear reviews on Trailspace! 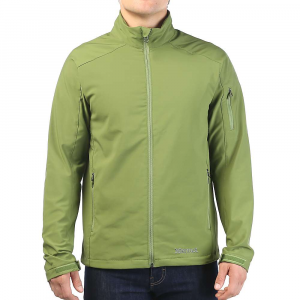 Ferrosi Hoody jackets come waterproofed with a Durable Water Resistant (DWR) finish. Black color getting ready for the water repellency demo below. The black color is great to use to commute to work, for casual day wear ... or to become a secret Ninja, when least expected. I like how causual wear can become hike wworthy, if your car runs out of gas, or you get an unexpected rain downpour on the way from a parking lot, into REI, or another outfitter. It also allows me to see how my 'go to' hiking gear is going layer with, solution gear I'm considering. What a Durable Water Resistant (DWR) finish looks like in action on my black Outdoor Research Ferrosi Hoody. The video is with room temperature tap water, pouring on my jacket's wrist area. 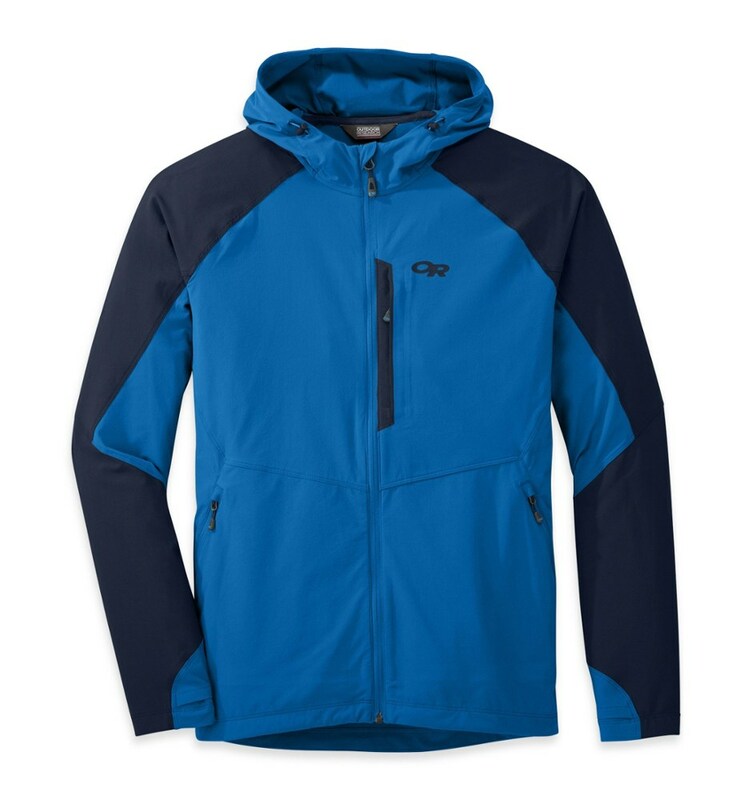 How does one protect and/or restore water repellency in a Ferrosi or other DWR protected outer shell layer?I find that I can use a jacket for a least 1-2 years of ~weekly washings, as long as I use Nikwax Tech Wash or Sports Wash (they both work the same for me and the second one costs less). However, if by mistake, I wash this jacket even in cold water JUST ONCE or TWICE , for instance in Tide or Costco High Efficiently Laundry soap, these strong effective detergents clean too well. They can strip the DWR finish off the Ferrosi and other gear too! In the field, it was horrifying to discover on a cool rainy day, that the rain protection was gone! One treatment with Nikwax Tx Tech Wash-In restored my Ferrosi to like new state, for extended use [see Nikwax Tx Tech Wash-In review here on Trailspace]. I wonder if having four of one jacket is a record, Gary. 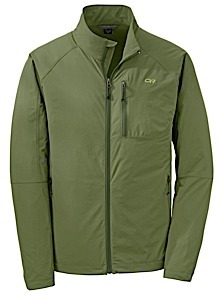 Not sure, but it is more of a second skin for layering over or under, than a jacket. Got each about 1/2 price. Did not want them to discontinue it on me. Use them much more than just for hiking. I just picked up a Ferrosi Hoody. Initial thoughts are very good. 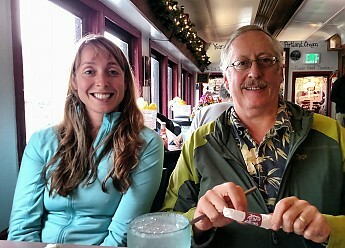 Going x-country skiing in Breck next week for a shakedown run. Funny thing is that your not the first person I've read that has purchased multiple versions of this jacket.